Hey loves, so it's REMIX time!! 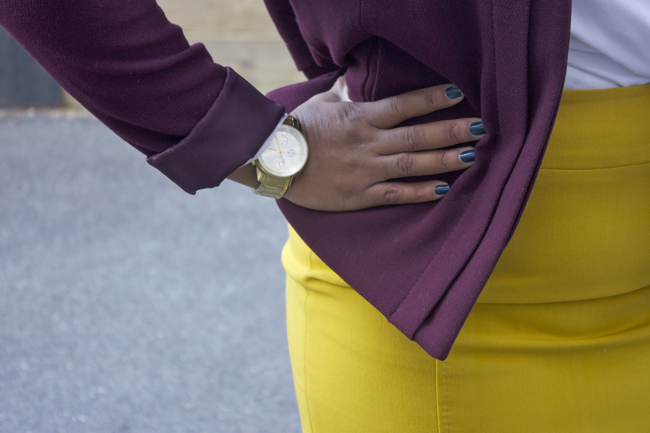 Took my favorite FALL pencil skirt and paired it for the work place. Now that I'm back working in the office a few days a week I love busting out my work wear. 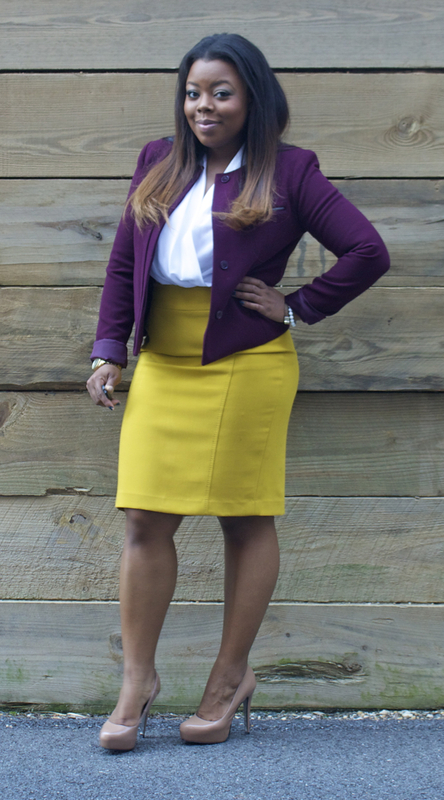 I paired my gorgeous Ann Taylor skirt with this beautiful burgundy blazer for the perfect FALL combo. 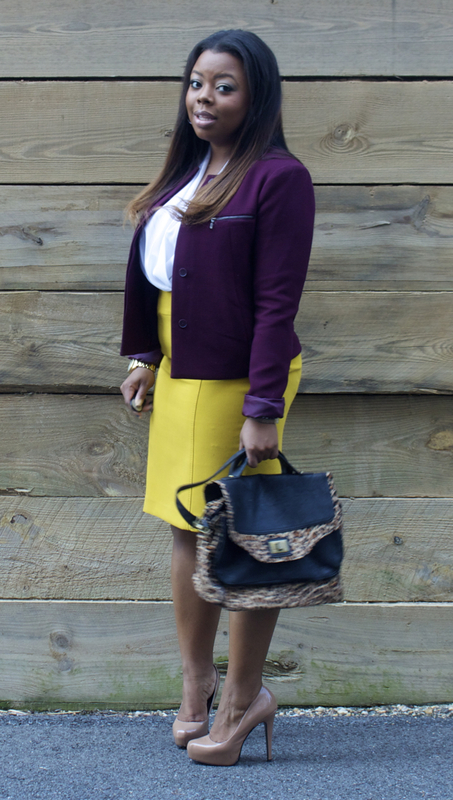 Paired with neutral accessories (YES, I consider leopard a neutral) this look is complete! Be sure to purchase pieces that your able to transition from look to look and season to season. 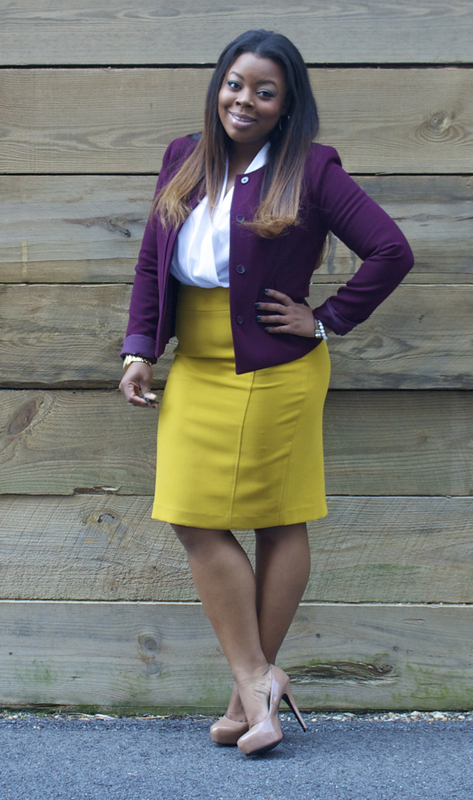 Check out how I rocked this skirt a few months ago HERE dolls. Didn't realize I was representing the Redskins with these colors! My Uncle Craig would be proud he's a die hard skins fan! Thanks so much lady! I try to get the best bang for my buck out of each piece! I love the color combo. Very nice! So classy! Love the colors! Very cute, love the outfit, I envy folks who can rock heels, cause i barely can. Thanks lady and you can do it, start small and work your way up! This is beautiful Naja! Love the mustard skirt! The colors in this outfit go great together!!! Love the skirt and jacket! !